Networkable multiplayer clone of the classic Tetris game. Play it on a LAN or across the internet against a friend. Graphic skin support for different looks, chat feature and combo scores! 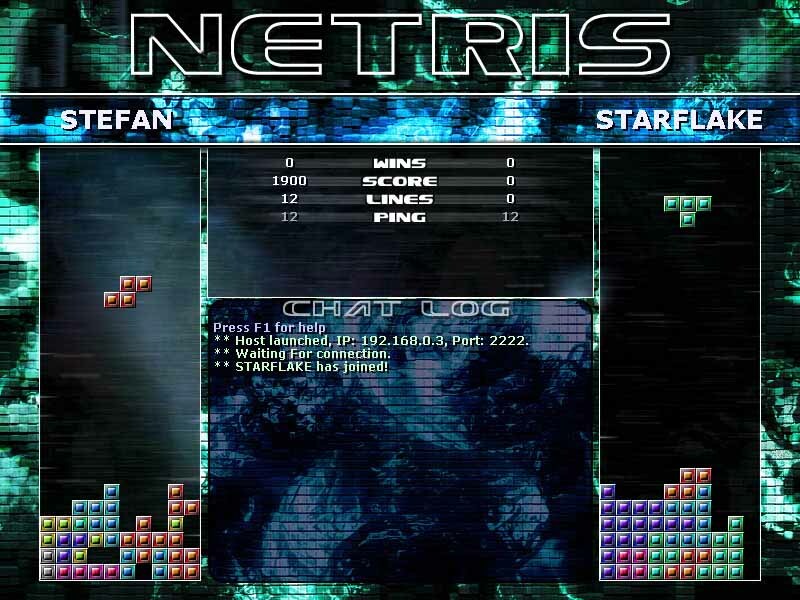 Netris is easy to install (with uninstall feature) and it can run in Full screen or Window mode. Additional features where you can harm your opponent and different progression rates. Visit www.imphenzia.com/games for more games like Beat Ball 2! Qweas is providing links to Netris 1.2 as a courtesy, and makes no representations regarding Netris or any other applications or any information related thereto. Any questions, complaints or claims regarding this application Netris 1.2 must be directed to the appropriate software vendor. You may click the publisher link of Netris on the top of this page to get more details about the vendor.